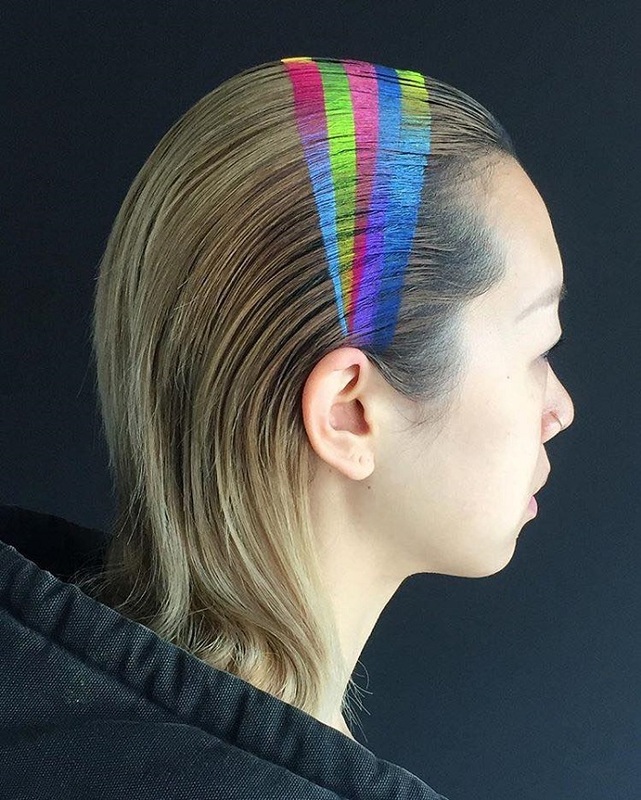 Rainbow hair is appearing all over social media in many different forms. 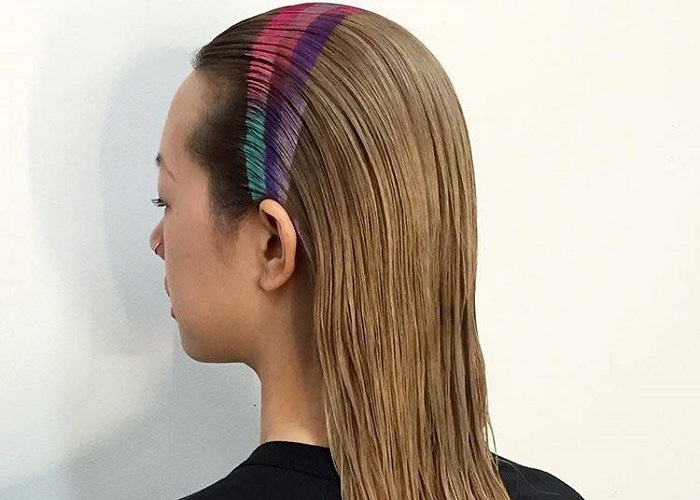 It is really hard not to love this mesmerizing trend. 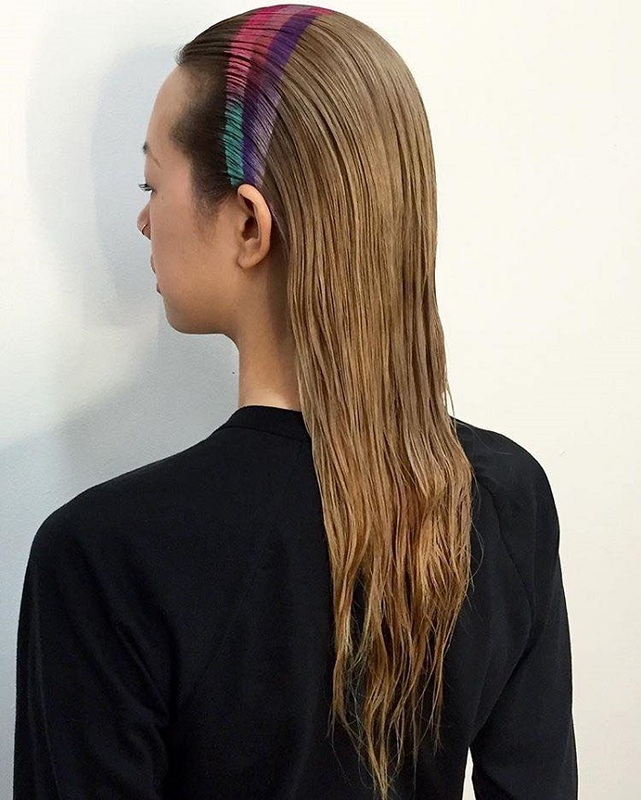 The newest upgrade is the spray-on rainbow headband, one of the most original trends that has appeared recently. It is a completely new way to accessorize your hair, without having to make	any permanent changes. Allen Thomas Wood is a Bumble and Bumble hairstylist and the mastermind behind this new amazing technique. Wood posted his work on Instagram and is already getting hugely positive feedback. The whole process started out as an experiment on one of his friends. 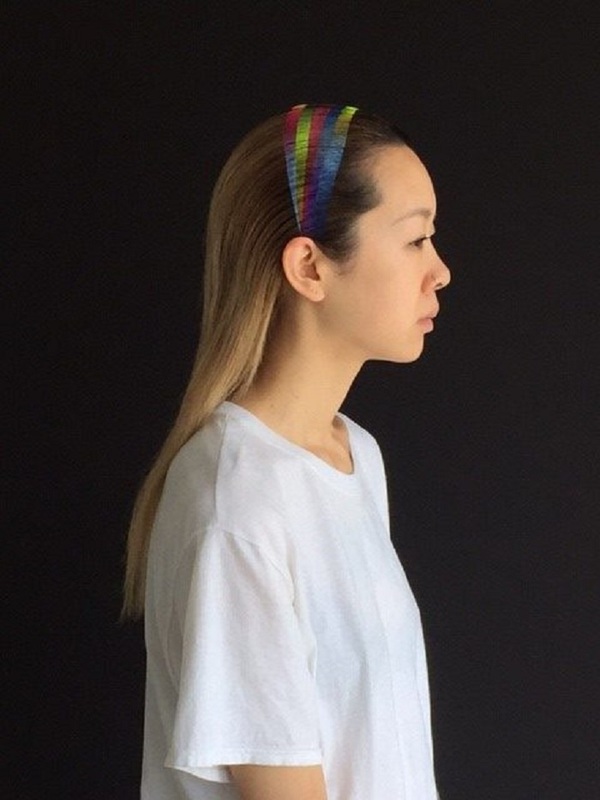 His initial idea was to create a headband in only one color, but he ended up doing much more. That is when he got this innovative idea and started mixing several colors. 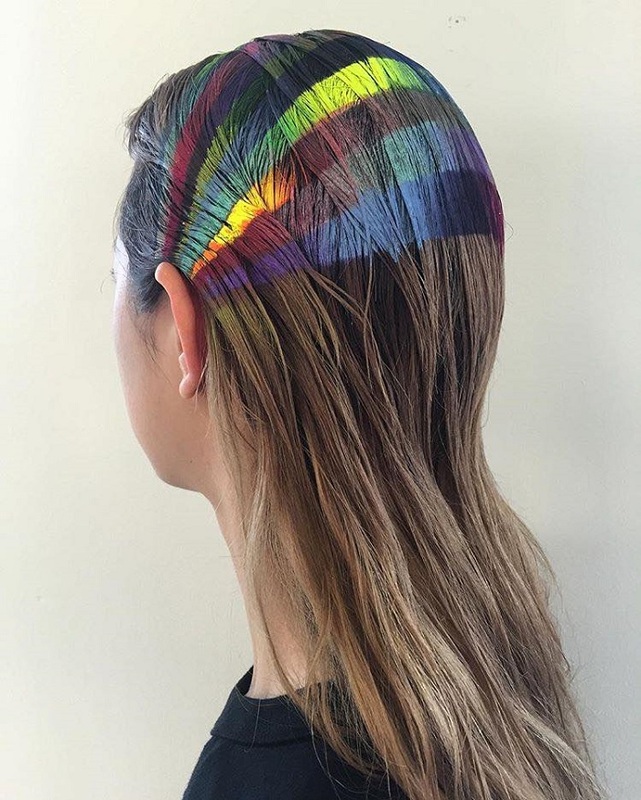 “I decided to [incorporate] multiple Kryolan colors and then started layering them until it evolved into this gradient rainbow,’ he explains. In order for this look to be created successfully, Allen needed smooth hair that doesn’t move. That’s why he used plastic wrap to hold the hair in place. Then he sprayed the slick hair with Strong Finish hairspray to hold it in one place and off the face. For different looks, he tries different spray colors. If you’re trying this look at home, you should go for a peroxide-free spray that is not harmful to the hair. For one of the looks, Allen tried bold colors such as AstroTurf green, blue, strong red, and purple. In this case, the colors are divided by strong lines. For the second one, he went with softer colors, many shades of pink and purple. 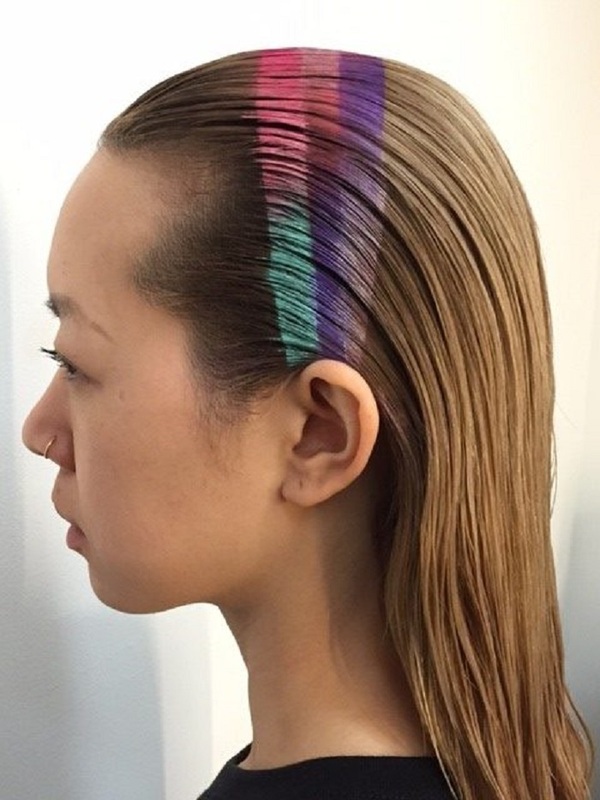 This is where he created a more subtle ombre effect, and the hues blend with each other more smoothly. The most important thing to know about the spray-on headband is that it is not a permanent hairstyle. It is achieved with a spray paint that washes off very easily, so it is not really resistant to rain and the wind. In other words, the effect will be gone after your first bath. So this is only a temporary style that you can try if you are not that much into long-term changes, and you only want to rock it for one night out.